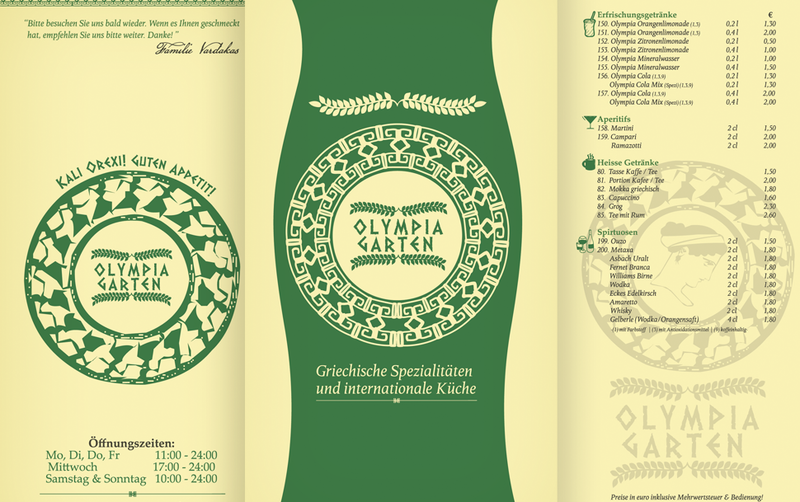 Olympia Garten is a traditional Greek restaurant from Nuremberg. 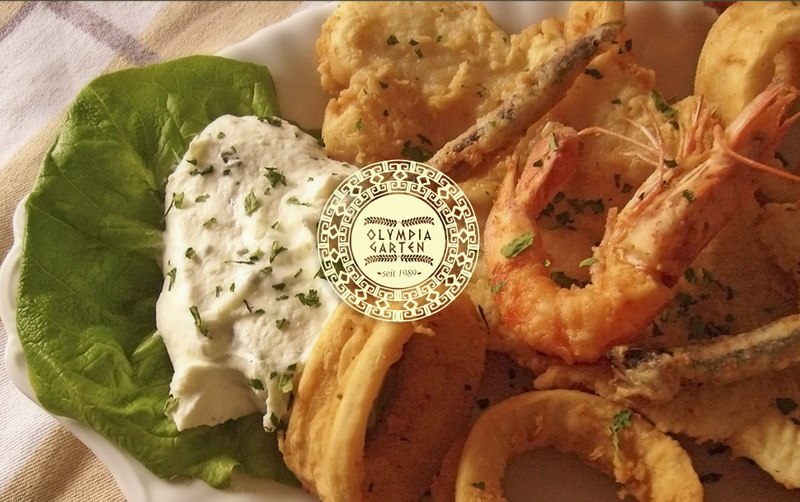 It has more 25 years of existence and offers a wide array of dishes from the Northern part of Greece, the Pella Region – the birth place of Alexander the Great. I was very inspired by the background story of the owner’s origin. 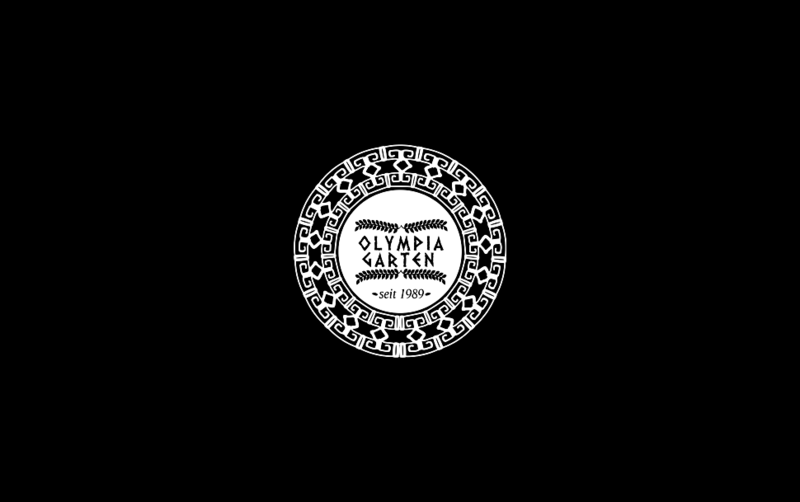 The Greek gastronomy has strong ancient roots and a very diverse palette of ingredients, even though many of us know just a few items like olives, olive oil, oregano and mint. 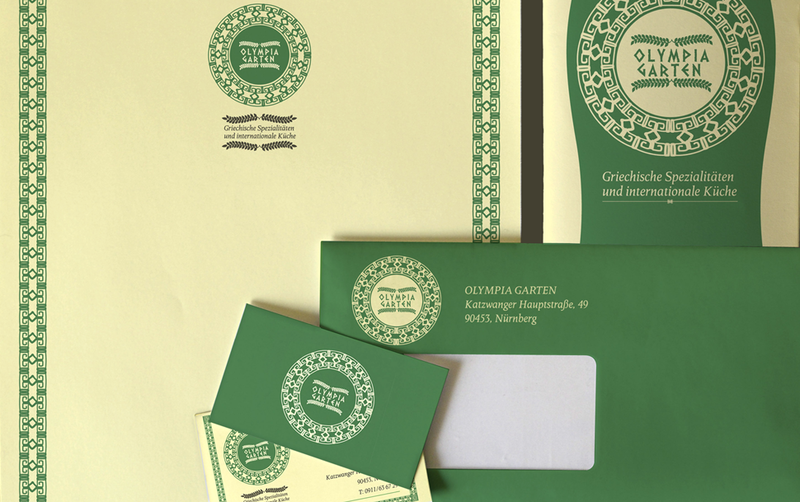 The rebrandingproject was very complex. 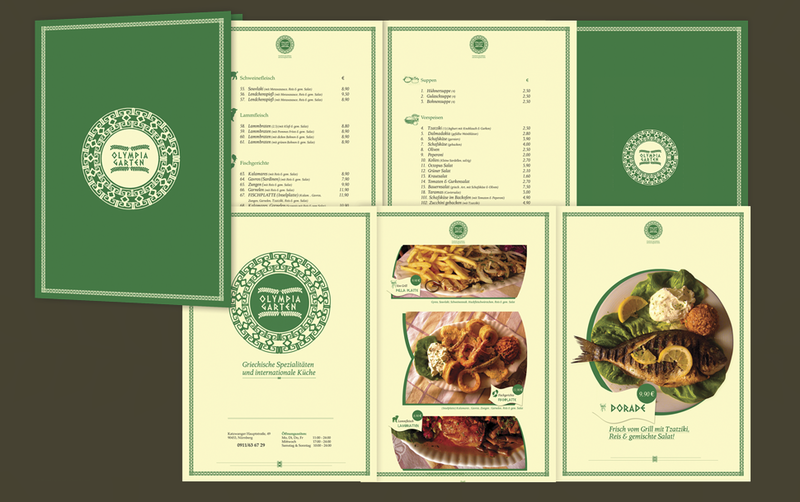 – the corporate design with the menu design as center piece. 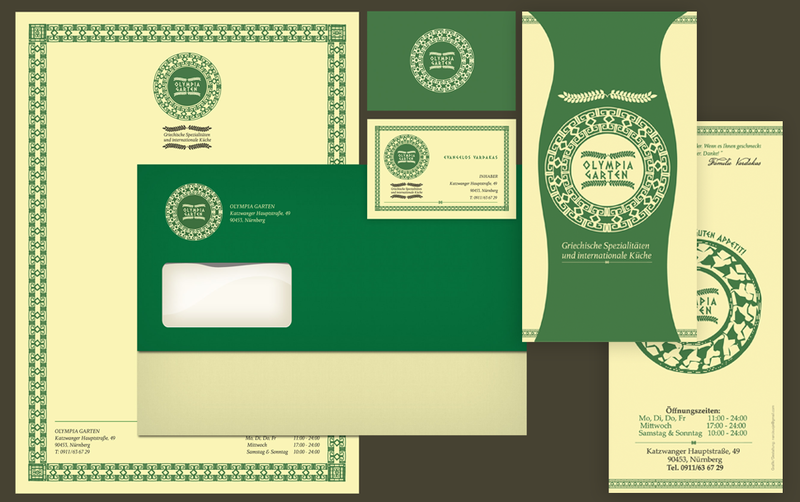 3. creating the corporate design package: the stationery – business cards & letterhead, the menu , a promotional flyer/brochure of the restaurant and the anniversary poster.